JBONE AKA JUSBIZNESS | www.griphop.com | Blog : NEW EXCLUSIVE! 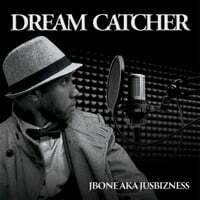 DOWNLOAD NOW..
jbone_mili.mp3NEW EXCLUSIVE "IF I WAS" FROM JBONE AKA JUSBIZNESS FEAT. LANAE JEWALZ & DRUMZ. FREE DOWNLOAD AVAILABLE NOW! IF YOU DON'T NEED MONEY TO DEFINE WHO YOU ARE, THEN YOU WILL DEFINITELY FEEL THIS TRACK! FOLLOW ME ON TWITTER @ JUSBIZNESS #teamgriphop.